Showcase ASDA culture while also reflecting the reality of working on the shop floor – especially for those without prior retail experience. Following the development of the hugely successful ‘Supersifter’ – an online assessment system that provided a range of ability and personality assessments and integrated with ASDA’s applicant tracking system – ASDA felt that the consultants at Criterion Partnership were ideally placed to design a new assessment centre process. The Criterion team consulted with key ASDA stakeholders, assessing what the new process should look like. Given ASDA’s principle of always striving to be the best, we recommended a bespoke psychometric solution; which, like the Supersifter, would be based on values-based assessment. A core set of exercises were designed that could be tailored to the needs of different areas of the business and reflect the specifics of each role. Activities were included that would continue assessing the same Leadership Behaviours measured in the Supersifter, streamlining the recruitment process as a whole. The assessment day also included spending time on the shop floor to really give the candidates a chance to absorb the ASDA environment. A toolkit was designed for the SOL managers containing all the materials required for conducting the assessment centres. These toolkits were designed as small easy-to-carry cases, complete with handle and full ASDA branding. Comprehensive training was also provided by Criterion Partnership advising on the best practice of assessing in the new process. 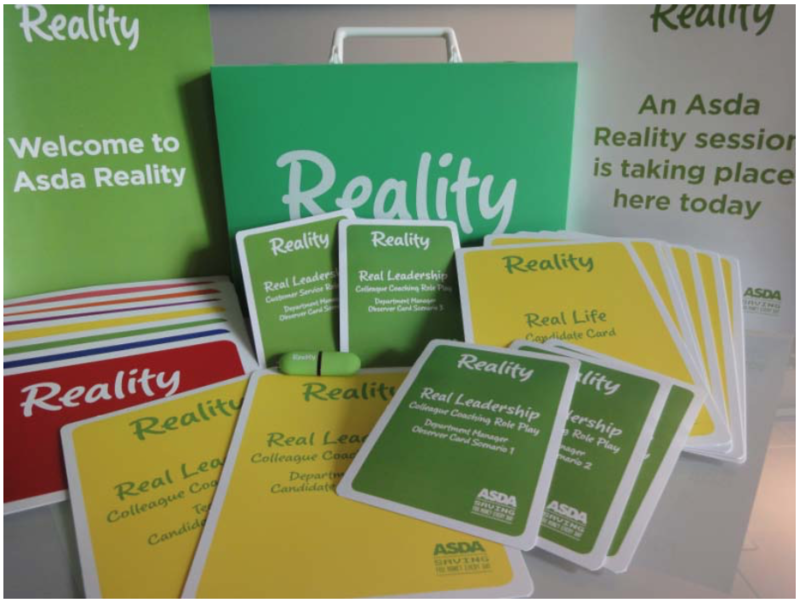 To finish, the process was branded as “ASDA Reality” – to illustrate the emphasis on truly reflecting the reality of working for the organisation. Resource requirements were significantly reduced – the centres were shorter in length and resulted in less paperwork; requiring fewer assessors for less time. The candidate’s journey from online assessment (Supersifter) to assessment centre was seamless and contained more meaningful and relevant material. The assessor toolkit was a hit with the SOL managers, being less costly and completely portable – a perfect solution to the heavy administration load they had previously worked with. Conversion rates from ASDA Reality assessment centres to concrete job offers were also increased, indicating the effectiveness of Criterion’s values-based approach to recruitment in finding better quality candidates.